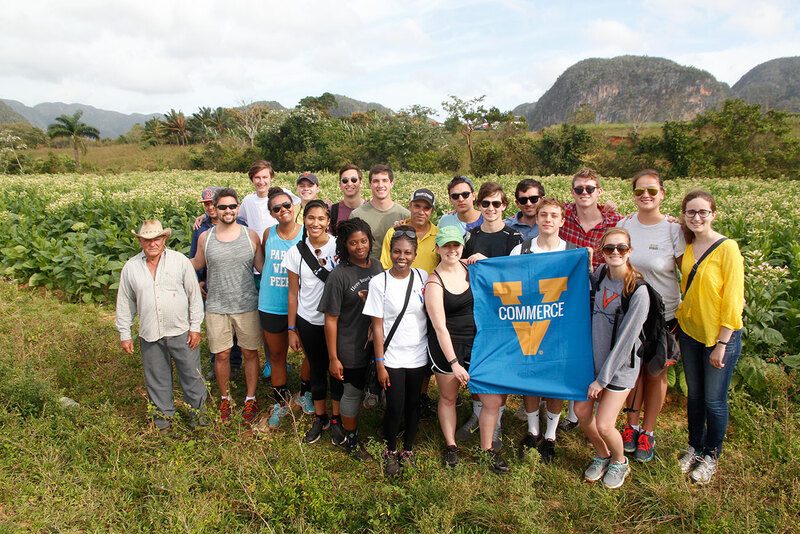 Just before President Obama’s historic visit to Cuba this week, 18 University of Virginia students traveled there to study how trade isolation forced the island nation to develop sustainable agriculture and business practices that could hold lessons for the rest of the world. A 2010 PBS documentary referred to Cuba as “The Accidental Eden,” noting how the collapse of the Soviet Union in 1991 spurred Cubans to painstakingly preserve and maximize their island’s natural resources. In the decade following the collapse – called the “Special Period” in Cuba – the country lacked key imports like fertilizer, pesticides or gasoline to power agricultural machinery. Deprived of these supplies, Cubans returned to more natural agricultural methods, leading to significant growth in organic farming and eco-friendly practices. White, two graduate students and 16 undergraduate students first visited a series of urban farms in Havana. Urban farms became commonplace during the Special Period, as food distribution dramatically shrunk without imported gasoline. Rooftop gardens and localized farmers’ markets proliferated rapidly, encouraged by a government that incentivized farming in order to feed its people. 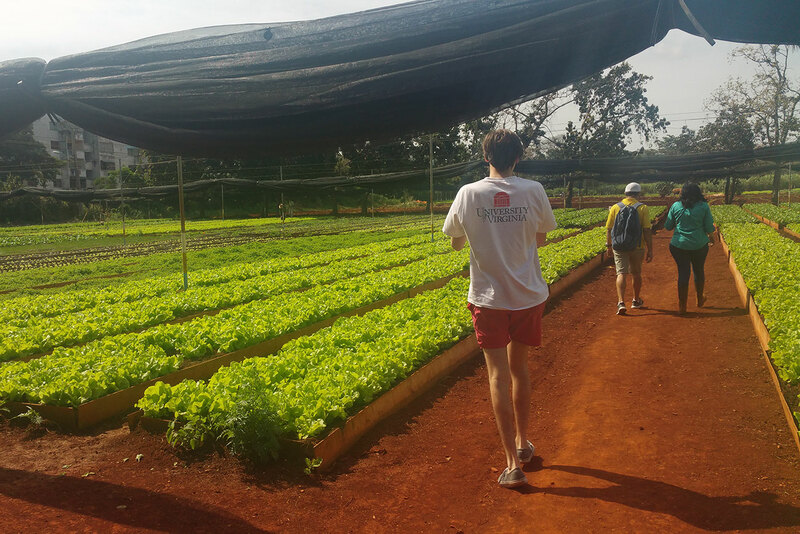 From Havana, students visited more rural agricultural operations, talking with farmers who have built up profitable organic farming enterprises and are now committed to organic agriculture as both practical and socially beneficial. 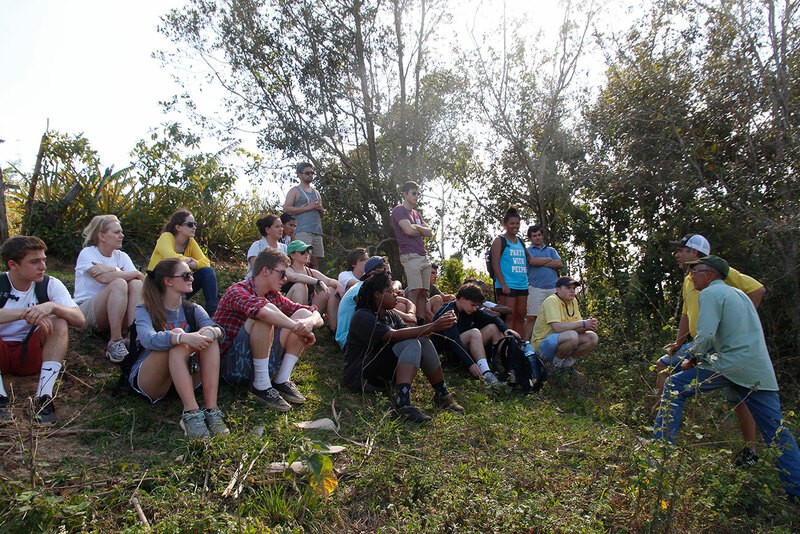 Students also visited biodiversity preserves and national forests, which have remained remarkably untouched. 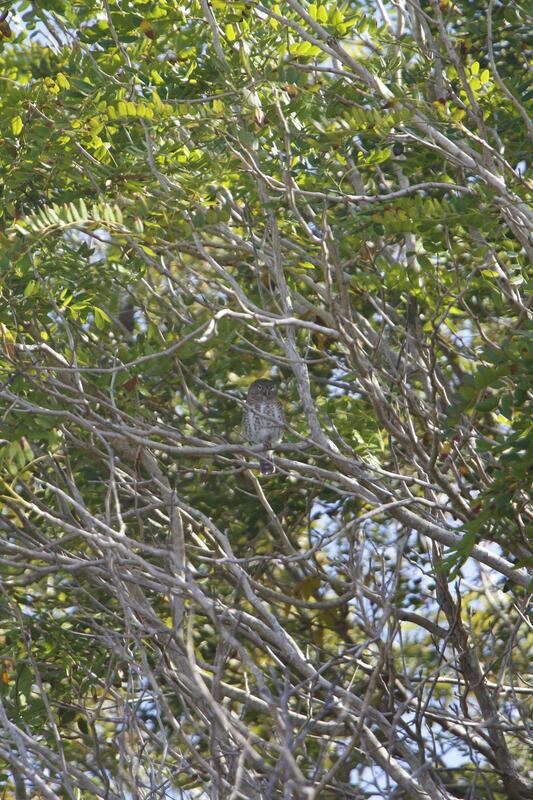 On guided tours of those sites, which included a UNESCO biosphere reserve, students searched for some of the endangered species that call Cuba home, including the Cuban crocodile, the pygmy owl and the bee hummingbird, the world’s smallest hummingbird. Those natural sites, as well as Cuba’s many cultural attractions, are luring increasing numbers of international visitors, especially as U.S. travel restrictions relax. At UVA, Cuba quickly became a popular destination for those interested in Alumni and Parent Travel Programs. The program is offering four trips in 2016, each led by faculty members who will lecture on relevant topics such as architecture or art history. In all, approximately 90 people will visit the country through this program alone. 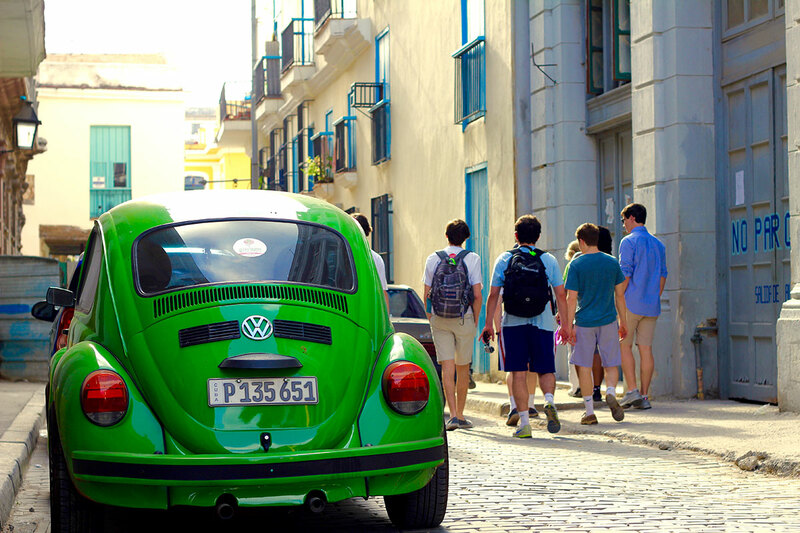 White, whose students represent the first undergraduate group from UVA to travel to Cuba, wanted students to experience the island’s most eco-friendly tourist sites, such as Las Terrazas, a state-financed mountain community of artists and organic farmers. There, reservations are limited to avoid overtaxing the land and all food is grown organically on-site. Each site the group visited, White said, highlighted business strategies to conserve and save nature, whether it was direct preservation – strictly setting areas aside for conservation – or employing sustainable farming and forestry methods, or following eco-friendly business practices like those at Las Terrazas. Students spent time considering how the country might continue its eco-friendly practices as trade and tourism grow and how that might impact organic farming. “The average age of the farmers was in the late 50s and many young people do not want to get into organic farming, because the tourism industry is more attractive,” Logan said. Now, she said, the government is creating incentive programs for young people or women with children to enter into organic farming. Ackerman also noticed the significant role of private businesses on the island. “You can start to see how Cuba and its Communist system is making concessions to growing the private business side to help sustain the country as a whole, particularly with agriculture and food,” he said, pointing out that farmers can keep much of the profit they earn. Students visited some of the private businesses that have sprung up in cities around the country, staying with families who rent out rooms and eating at “paladares” – family-run restaurants. Along with farming, such businesses are among the handful of enterprising activities allowed by the government. Going forward, White said that he is curious to see how better relations with the U.S. might impact sustainable business in Cuba, and how some of Cuba’s sustainable agricultural practices could be applied in more democratic countries.